I am a huge fan of chilled soups. Really I love all soups and if there's anything I miss about winter other than a crackling fire, it's a warm bowl of soup on a cold night. 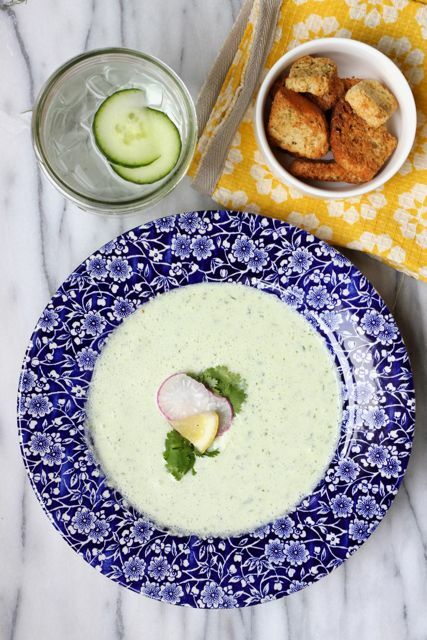 So, when summer rolls around, I have to find a way to get my soup fix and this chilled cucumber cilantro soup certainly does the trick! Last year my garden was overflowing with cucumbers but sadly I didn't get around to planting them this year. However, that didn't stop me from indulging in one of my favorite summer flavors. I grabbed a few of the seedless variety and got to work. And one other note. Why don't I drink more cucumber infused water? It's so darn good. 1. Partially peel cucumbers (pictured below) and coarsely chop. Then top cucumbers with vinegar and salt and allow them to sit for 30 minutes. 2. 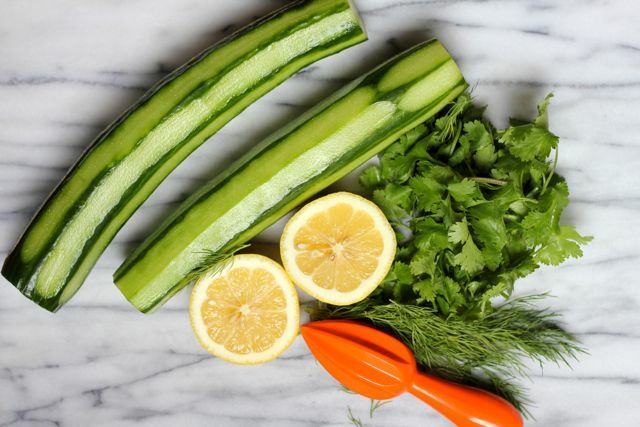 Place cucumber mixture, Greek yogurt and heavy cream in a blender and pulse to smooth consistency. Then add cilantro, dill and lemon juice and mix until blended. 3. Chill soup for at least 2 hours and when ready to serve, garnish with fresh herbs, veggies and crunchy croutons. 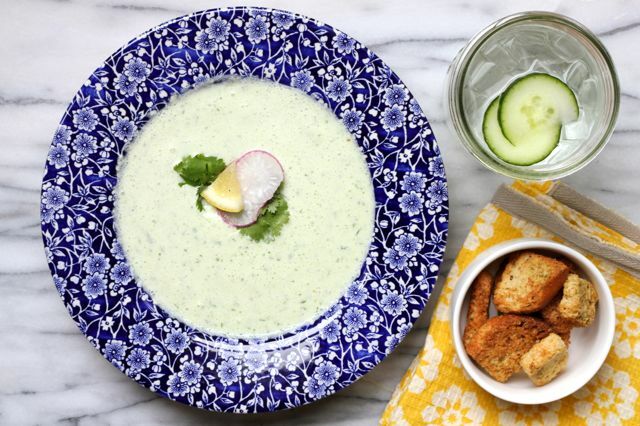 I adore a great chilled soup in the Summer.